France is rapidly catching Spain up as being one of the most popular places for Brits to retire to. With more French airports becoming more accessible, particularly via the budget airlines and its close proximity to the UK, meaning travelling back and to between the two countries is reasonably quick and cheap, it’s hardly surprising that more people from the UK are choosing to retire there. The climate in France can differ quite significantly the further south you choose to live. Northern France in regions such as Normandy, for example, share a fairly similar climate to that in the south of the UK with cold winters and warm summers including plenty of rainfall. The further south you live, however, you’re more likely to experience similar weather to that of a typical Mediterranean coastline with often hot summers with far milder winters than in the north. France has something for everyone. From magnificent chateaux and olive groves to some of the most chic beaches on the Mediterranean as well as the Alps, it has such a diversity of landscapes. 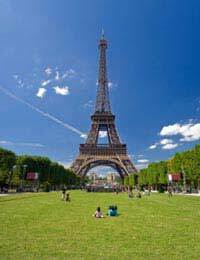 Paris remains one of the world’s most cultural and glamorous capital cities. Great food and wine play an important part of the social culture in French life where they are both intrinsic when it comes to relaxation and enjoying the company of others. Depending on where you put down roots, however, if you’re in a rural area, you may need to pick up the language fairly quickly if you want to get more involved in community life. French health care is one of the best government subsidised health care systems in the world but on the downside, access to English speaking physicians outside of Paris can often be difficult. Public health care is considered equally as favourably as private generally speaking and whilst the government will pick up around 85% of the total cost of healthcare, French residents will usually take out an insurance policy to cover the rest. There are no restrictions on British citizens buying property in France. Prices can vary depending on where you choose to live and it tends to be more expensive along the French Riviera, the French Alps, Paris and Brittany. Those who have imagination, a good deal of creativity and a willingness to get stuck in to renovation projects, however, can often pick up bargains in certain rural areas. It’s estimated that you’d need around 1200 Euros per month to enjoy an average lifestyle in France in your retirement although that figure will obviously be higher if you’re in the capital or on the Riviera. Food and wine are the primary focus of shopping in France and it’s famous for its markets and traditional stores selling fresh cooked and uncooked meats, breads and pastries, fruit and vegetables alongside cheeses and other dairy produce. For high couture fashions, jewellery, shoes and watches, you can’t beat Paris although you’ll often find similar items on the Riviera. Most large cities will have shopping centres and larger supermarkets.